Ivory 4 Slice Toaster is one in a range of kitchen appliances that will add style and practicality to your kitchen. Ivory 4 Slice Toaster features a 7 stage variable browning control, making it easy for you to get the perfect slice of toast every time. The removable crumb tray makes it easy to keep your toaster clean. 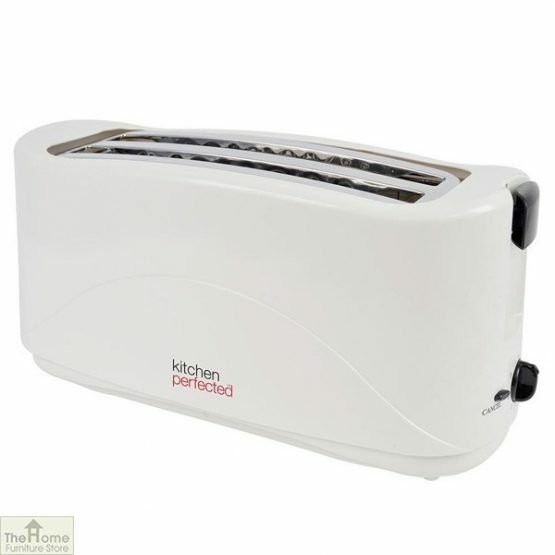 With a stylish ivory colour that will compliment any home decor, this Ivory 4 Slice Toaster will make a great all-round addition to any kitchen.